Mud, Mud, Mud. 2003 started with a trip to Louisiana to the ‘hunting camp’ to visit Mamaw Connie and Papaw Ken. 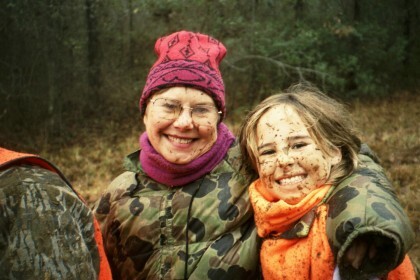 265 acres of red clay hills, woods, mud and trails. 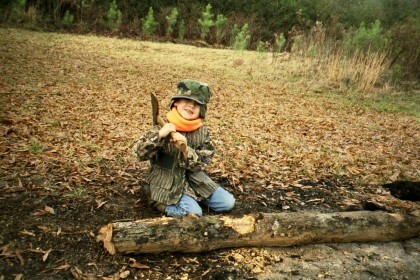 I took Ashley and William for 4 days of 4-wheelers, motorcycles, tire swings, and campfires. We had a blast. Nothing but playing all day long for 4 days. 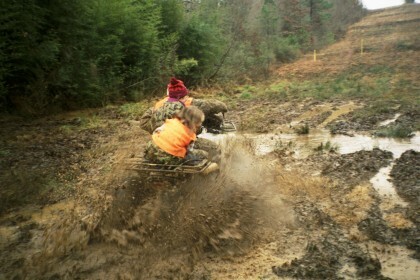 They had gotten tons of rain and much of our time was seeing if we could get our 4-wheelers stuck. 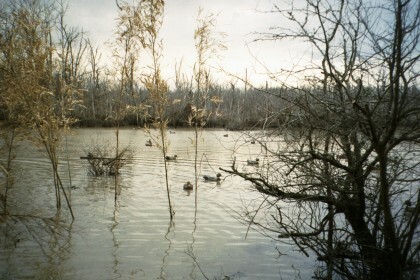 I did some deer hunting, and Ken and I made a trip to Dewitt, Arkansas for some duck hunting. No good on either front. Just one day of duck hunting with no ducks and we left and came back home. It’s still fun, since I’m living in Florida to get out in the wet and cold and do something different. 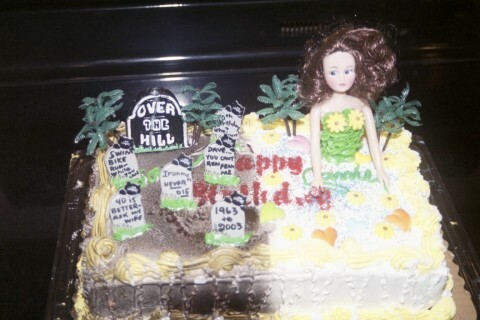 Ashley also turned 9 years old. 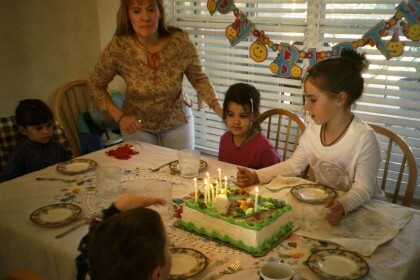 We just had a small party, with her friend Courtney. 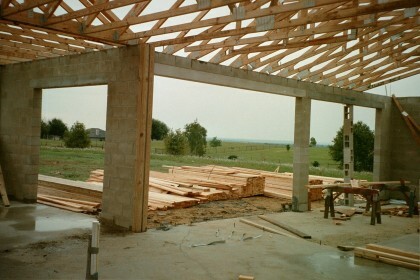 Tamara stayed at home, and got a nice break from all of US, and kept an eye on the house that we were having built. 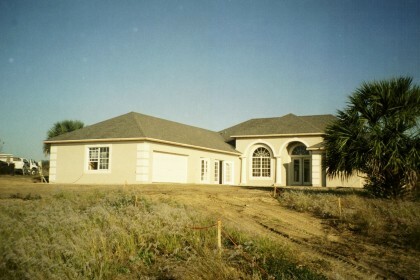 We bought our 5 acres several years ago, and finally decided to go ahead and build our dream house on it. Things were getting close, in fact, right after getting back from our trip, I had to install hardwood floors in our living room and study. I did that, and spent countless hours doing wiring for our intercom and sound systems, computer network cables and video all over the house. I forget how many thousands of feet of wire I ran in the house, but it was quite a lot. 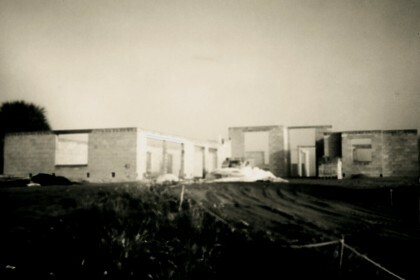 Move in date, March 2003. Other stuff for the month, I got accepted to Law School. Though now I’ve decided that I’ll probably not go. 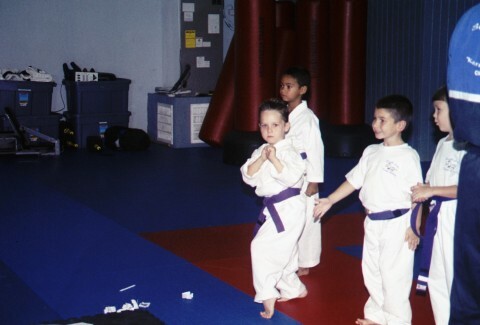 I’m supposed to start in August 2004. 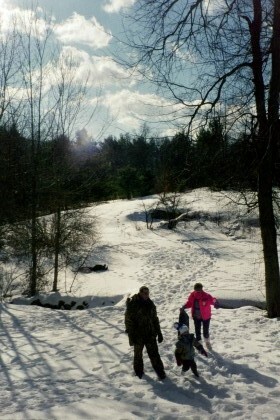 “I’ve never SEEN snow, I’ve never TOUCHED snow, I’ve never EATEN snow, AND I’M 5 YEARS OLD!” That was the declaration from William that sent us on a wintertime trip to Lake Placid, New York in pursuit of snow. 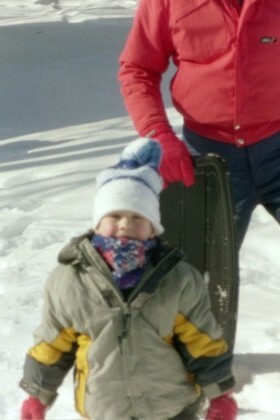 Yep, 5 years old and life was passing him by, this Florida boy was missing all the snow. So off we go. 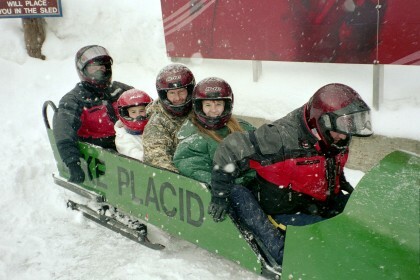 Why Lake Placid? WELL, of course I have an ulterior motive, it happens to be where my next Ironman triathlon, IRONMAN USA was taking place in July. What better way to go scope out the mountains and the race course and see what I’ve gotten myself into. 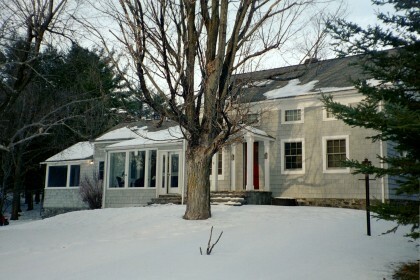 We rented a very nice refurbished 100 year old farmhouse for both weeks, the winter trip and the summer trip. What an awesome time. 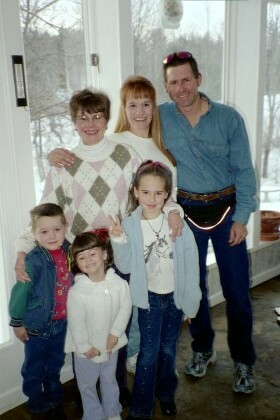 The whole family, plus Mamaw Connie and Papaw Ken all were there. 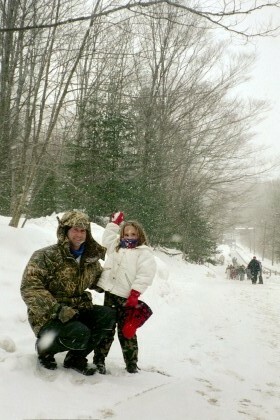 We snowshoed, made snowmen, snow angels, snow ball fights, rode sleds down the hills, all the things Florida people would do in a snowy situation. Me, Tamara and Ashley also rode the Olympic Bobsled course, on a perfect, snowy day. That was cool. On the flight up to Lake Placid, the flight attendant asked Emily(3 yrs), if she would help with passing out mints to all the passengers. She was out of her seat in a flash, and up and down the aisles smiling and giving every single person on the plane a peppermint. We move into our house. How great. We love it. 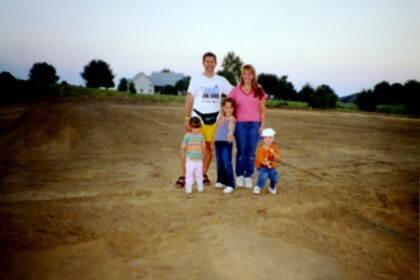 Tamara and I (and the kids) spent literally hours upon hours over the course of several months sitting in a model home of our house before starting construction. We went over every inch of it, analyzing, measuring, planning all the modifications. The builder was threatening to start charging us rent for all the time we were spending there, but in the end, it all was worth it. We made a lot of radical changes to the original plan, and after a few months in the house, are pretty much thrilled with everything we did. Our friends from Alabama, the Ansicks come down and spend a few days with us. We always have a great time and this was no exception. Me, Vince and William Ansick spent most of the time fishing. This is the ONLY time all of 2003 I got my boat in the water, that’s pathetic. In the end, there was little reason to even get it in the water these three days. We fished Mosquito Lagoon, Lake Minneola, and Lake Toho in Kississimmee. And we did absolutely no good. Fishing for Trout/Redfish in the Lagoon, other than Vince going on a run of catching puffer fish on a crankbait about every other cast(seriously, every other cast, 6 or 7 fish caught), we did no good. Lake Minneola, nothing. Lake Toho, my first cast, I get a hookup, but lose the fish halfway to the boat. That was it, no more activity for us all day. Even not catching fish, it beats working. Not much happening this month. We're trying to get settled into the house and unpacking boxes. 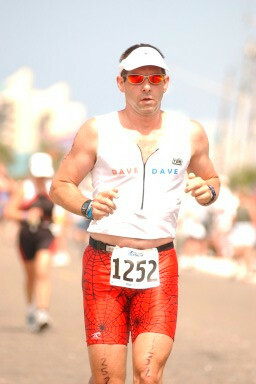 I go Panama City and do the Gulf Coast 1/2 Ironman triathlon(1.2 mile swim, 56 mile bike, 13.1 mile run). Second time I've done that. Last year, the whole family went, we met our friends from Alabama, the Ansicks there, and spent a few days on the beach. This year, Tamara and I agreed, with the house being built and us just having moved, that all just sounded like a lot of work, so I went up one day, did the race and came back right afterwards. A good race, time was better than last year, I was happy with it. 4th of July and the Sermaks and Carrie's mom and husband Pete come over for our traditional fireworks. This year, Rich has built this elaborate multi-tube launch pad to set off several LARGE fireworks, we save that for last. I smoked a turkey and made homemade bread, and we had plenty of beer and Bacardi O's. We always have so many fireworks the kids are sick of it and begging for us to stop by the end of the night. Finally we get to the end and we set off Rich's big setup. The tubes are larger than the explosives, so they don't really have a lot of direction as they leave the tube. We all start moving closer and closer to the house, away for the explosions, Tamara and I are praying they won't land on our house and burn it down. It didn't, and everything turned out fine. 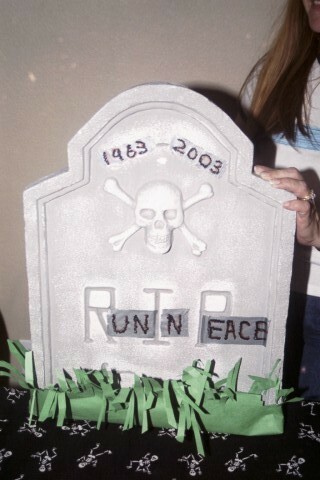 We had a good time, and next year, Rich will have his design perfected. Emily turns 4 and we had her party a week early, since Tamara, Ashley and I would be out of town on her actual birthday. We had some friends over, the Teri Anuchundia and family and the owner of the kids school, Rebecca and her children. We swam in the pool and I pulled the kids around with the 4-wheeler in a trailer. A fun day for all of us. The big 4 0. I turned 40 on August 21, and my wonderful wife forgot to tell me she was throwing me a party. That evening, I went to the horse farm where Ashley rides to pick her up. The owner, Nancy Carr and another lady that works there, Sue, keep talking to me and talking to me, just rambling on about everything. Now these two never have two words to say to me but this evening, they are stalling me until Tamara has everything done and guests can arrive. I thought they’d lost their minds. 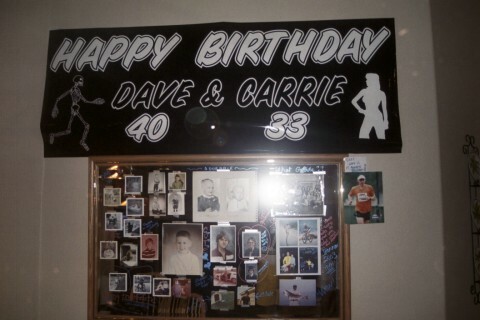 I get home to a house full of‘over the hill’ decorations, these all with a ‘running/triathlete’ theme and to a dual birthday party for me, and our friend, Kari Sermak. Her birthday is also August 21, she’s 33, I’m 40. Tamara makes a cakes that’s decorated ½ for me, and half for her. 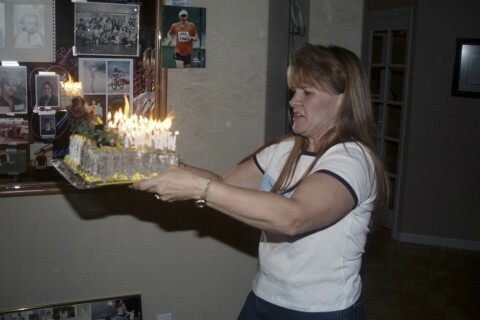 73 candles are lit on the cake. And there is no fire extinguisher in the house! 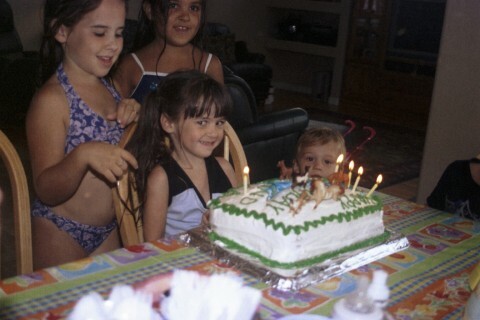 It was all a lot of fun and I thank everyone for coming and for all the presents. A new addition to the family! No, no more babies. A horse, or a pony to be more precise. We surprised Ashley with her very own pony, Mandy. She’s been riding Mandy for quite a while at Silverwind Farm, where she takes lessons. 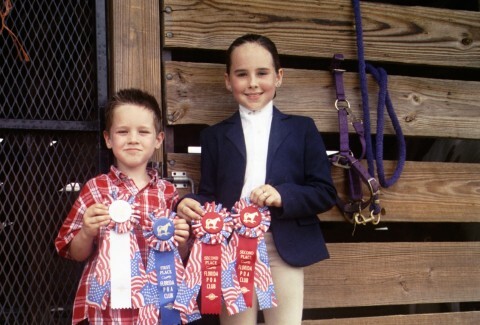 They are a perfect match, and she has a great time going to horse shows and competing. She couldn’t believe it, but her dream has finally come true. 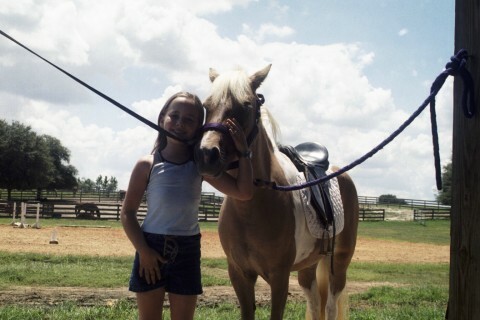 That girl has wanted a horse for as long as I can remember, and been riding for about 4 years now. 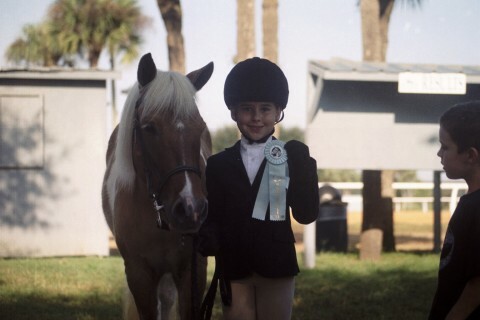 She’s an excellent rider and normally does very well in the horse shows that she competes in every few months. Just watching the grass grow this month. In late August, we had our 5 acres planted with Tifton 44 bermuda grass, an aggressive, fast growing livestock and hay grass. We are planning to fence, build a barn, and move Mandy out here next year, so I’ve irrigated almost the whole place, and got the grass growing. We’ve got TONS of projects to work on around the house since we’ve moved in but we are slowly making progress and having a great time doing it. LeGrizz 50 mile ultra run. 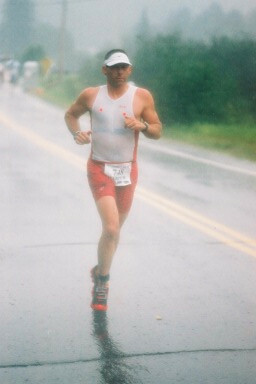 Soon after returning home from the Lake Placid Ironman, I started having thoughts of doing a race I’ve dreamed of since seeing in on TV years ago, mid-eighties on ABC Wide World of Sports I think. 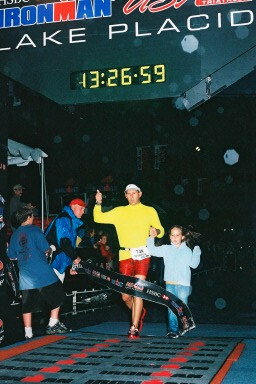 An ultra-run in California, the Western States 100. 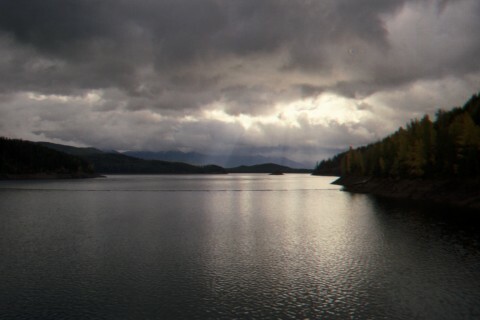 This is the premier trail ultra endurance race in the world, 100 miles of running, in the Sierra Nevada Mts, from Lake Tahoe to Auburn California. It originates from what was originally a horse race, a 100 mile horse race through the Sierra Nevada mountains. Sometime in the 1970’s a nut whose horse went lame before the race decided to run the horserace without his horse. That was it, that started it all, and now to even qualify to enter the lottery, (yes, so many people want to do this they have to take applications and do a lottery drawing to see who gets in), you have to run a 50 mile race in a qualifying time, send in your entry, and wait until Dec 6 when they do a lottery drawing to see if you’re in. I figured, I could at least try the 50 mile race, and see how it goes, maybe I could do it. 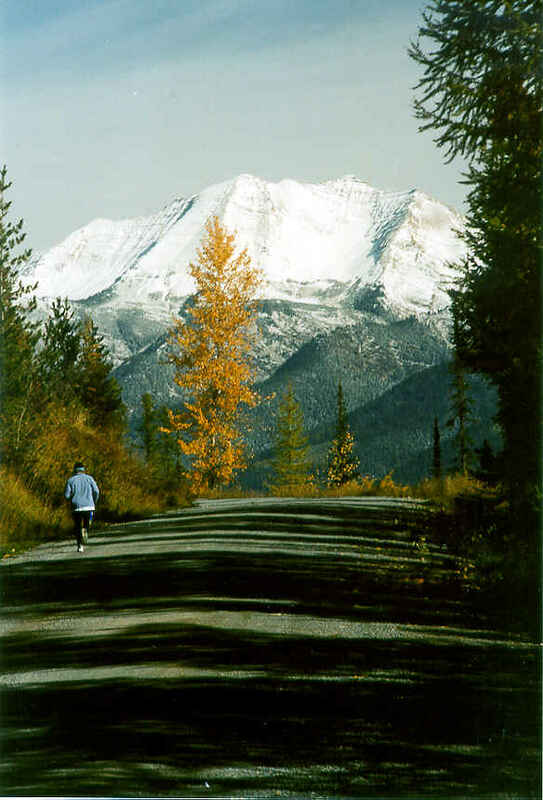 I found a race in Montana, that fit my schedule, so I signed up for it. LeGrizz 50 miler, Hungry Horse, Montana, October 11. Long story short, I made a quick weekend trip up, did the race, was under the qualifying time I needed, and sent off my entry for Western States 100. 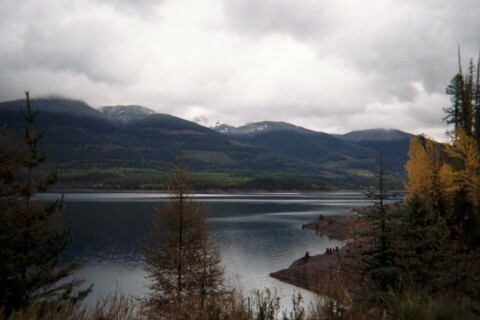 What a beautiful place it is there around Kalispell, Hungry Horse and Glacier National Park in Montana. I’ve got to go back up there and take the family. 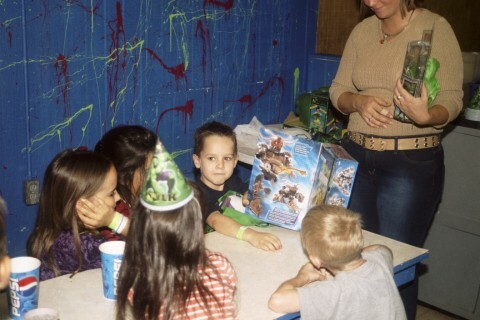 William’s 6th birthday. We have a party at the skating rink and everyone has a great time. The kids love going there. 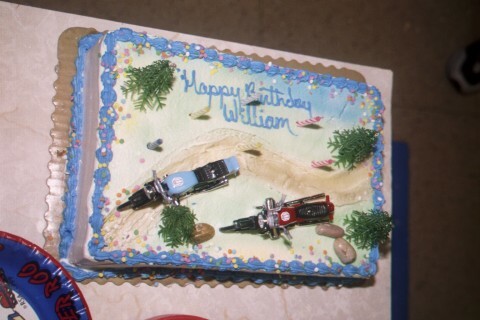 William’s big gift was a Honda XR50 minibike. He’s got all the gear, pads, boots and he loves getting out and riding around the property. 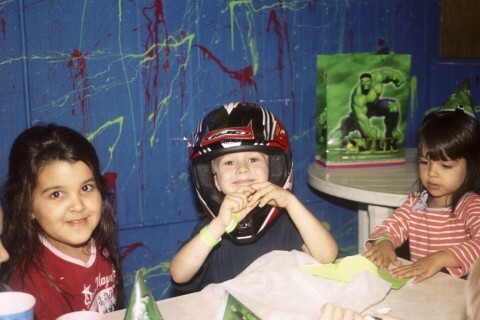 Week after he got it, I loaded both our dirt bikes on my truck, and picked him up early from school. We went trail riding near the house and had a blast. He fell countless times in some sand that is very difficult to ride, but kept getting back up, and going again. We had fun. Another guy came by while we were resting, and made a couple loops where there’s a jump, he was flying a mile over this thing. After he left, William sends me over to jump the same jump. I go jump it, come back, and immediately, William starts coaching me from his experience of jumping the motorcycles on his Playstation. “You’re letting off the gas Dad. You got to ‘goose it’ when you’re at the top of the jump so you go farther. You can do it, go try again”. I few more loops and he’s never happy with the lack of distance I’m getting. He’s nice about it, and consoles me that I’m getting better, he just doesn’t quite understand why I can’t grasp the fact that I need to have the gas rolled back to the stop as I hit the jump. He’ll understand one day. 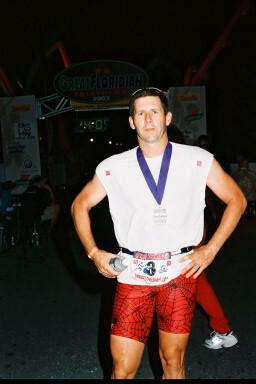 Two weeks after LeGrizz, is the Great Floridian Ironman triathlon in Clermont. (Race Report)I entered that soon after entering the 50 mile race, with the thought, I should be in good shape, it’s at my home so I don’t have to travel, since I’m now going back on my promise to Tamara of no more Ironman races, I let her off the hook as far as spectating and trying to keep up with me on the race course. I am pretty happy with the race, still, I have problems with the run, after 13 or so miles, and I STILL feel like I can put together a good Ironman race where I run decently to the end. 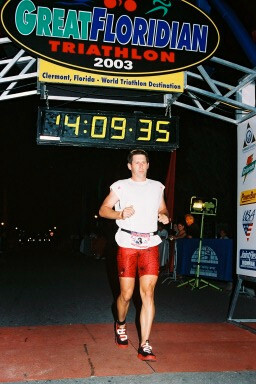 My best race at that distance is the first Ironman I did, 11:50 in 2001 at Ironman Florida. Not sure when I’ll ever do another one of these, but I’ve done 4 complete Ironman distance races now, and it’s been a great experience. Halloween. This year we have a Diva, a Ninja and a Princess. Since there are no houses for us to trick-or-treat at out in the boondocks where we live, we went over to our the Anuchundia's and hung out with them and trick or treated with them. It was great, our 3 kids, and their 4 all get along great and have a good time. Another quite month. 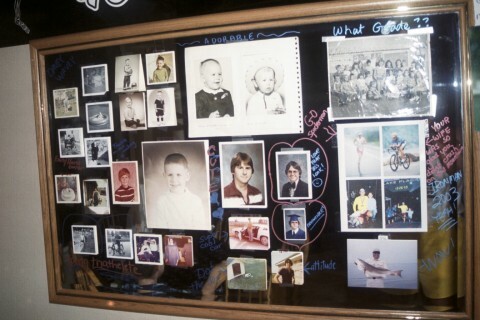 I installed ceramic tile in parts of our gameroom that we’d left unfinished when the house was built. I’ve never done that before, and things came out very nicely. We got the rest of the room carpeted, next I’ll run some electrical outlets, and paneling and paint. I also ran a trail ½ marathon just out of Tampa. Finished 25th overall, and top 30 got a nice coffee mug, so I got to bring home some hardware from a race for a change. 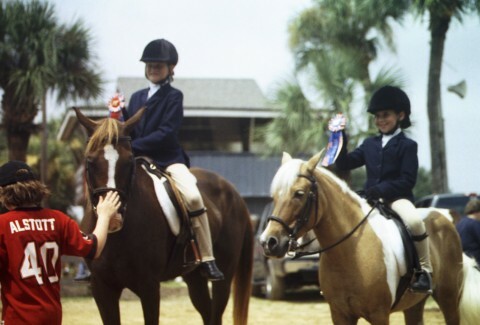 Ashley does her last horse show of the year, places high in several events, but in her last jumping event, falls on the first jump of the course. That’s always a scary thing for a parent, but this was not a bad fall as those things go. I was close, trying to get a picture, and she was back up on her horse before I could really get to her. 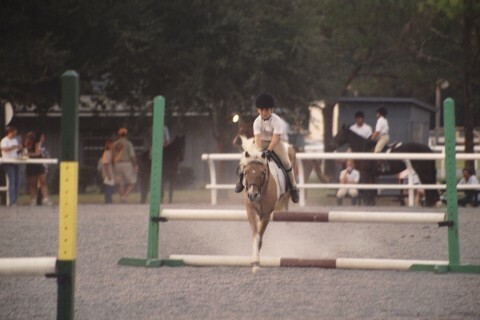 She turned around, jumped the same jump again, and finished the course. She was hurting and crying a little from hitting a place that had been previously bruised, which makes me that much prouder that she had the courage to immediately be back on her horse and finishing the course. That was the last event of the day, except for a series of ‘fun’ events that they have at some shows. These are various games and contests the riders can participate in, and Nancy convinced Ashley to go out and do the Team Toilet Paper ride( I forget the real name of it). You team up with another horse and rider, and each hold one end of a 3-4 foot piece of toilet paper. The announcer then directs the teams to walk, trot, canter, etc. The team that goes the longest without breaking the paper wins. 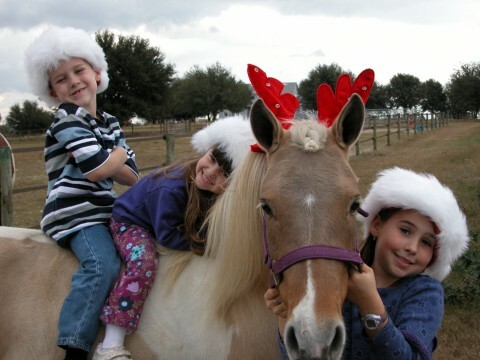 Ashley was riding with her friend, Veronica, who rides Mandy’s colt, Chance(well, not a colt anymore, he’s grown now). Those two might as well have been attached with a heavy steel chain as with toilet paper, they are inseparable at shows and there was no way they were going to break that paper. It was no contest, those two came out of the event with a first place and that ended a great weekend. December 6. 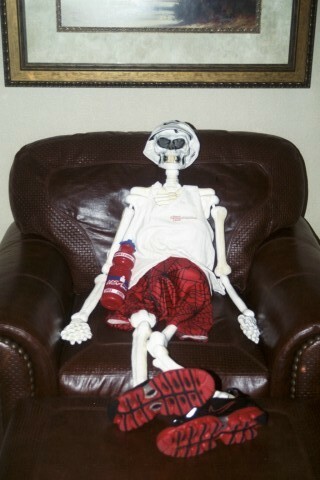 I’ve been waiting and waiting to find out about the Western States 100 lottery. After running my 50 mile qualifier, and sending my money and registration, I had a 47% chance of getting picked. I must have checked the website 1000 times. 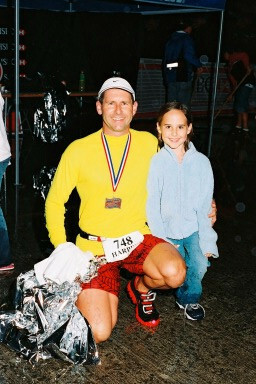 About 3:00 pm, I told Tamara I couldn’t take it any more, I was going for a easy 20 mile run, (if there can really be such a thing), I would finish a little after dark. Within 5 miles, my right knee was hurting, I’ve never had that problem before, it wasn’t really bad but I could feel it, I just kept running . 9 miles out it was still bothering me so I turned around to make my run an 18 miler. With about 5 miles left, the pain was so severe I had to stop and walk some. No pain when walking. I walked ½ mile, then was able to slow jog on in. I get back to find I AM accepted into the Western State 100, June 26-27, 2004. Ironic that I start getting an injury on the same day I’m selected for a 100 mile mountain race. Still, I can’t believe it, and am currently in the process of researching ways to fix IT Band injuries, and trying to figure out how a Florida flatlander goes about training for a 100 mile race on mountain trails with 18,000 feet of climbing, 23,000 feet of descending, altitude, snow in the high country, 100 degree temps in the canyons, most of the course accessable only by foot, horse and helicopter. We’ll going from Squaw Valley, CA to Auburn, CA. That’s just west of Lake Tahoe(15 minutes away) and near Donner Pass, where the Donner Party was stranded and most died in 1846. Pretty rough country. 100 miles, one day, what an adventure!. Tune in next year to see how things go! Christmas decorations are up, tree is up, all our presents are bought and we’re ready for Santa. Hope everyone has a wonderful holiday season and 2004.